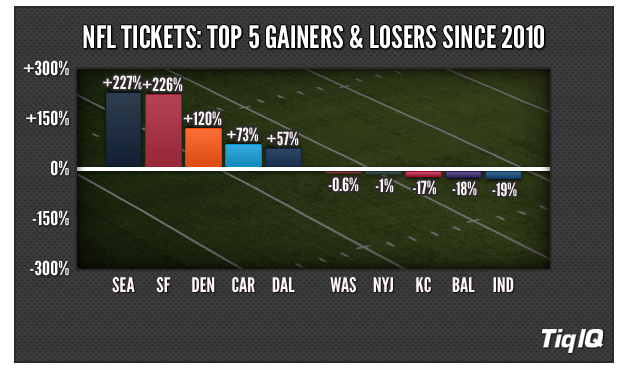 Over the past five years, the Seattle Seahawks have experienced the biggest average price increase on the secondary ticket market in the NFL. 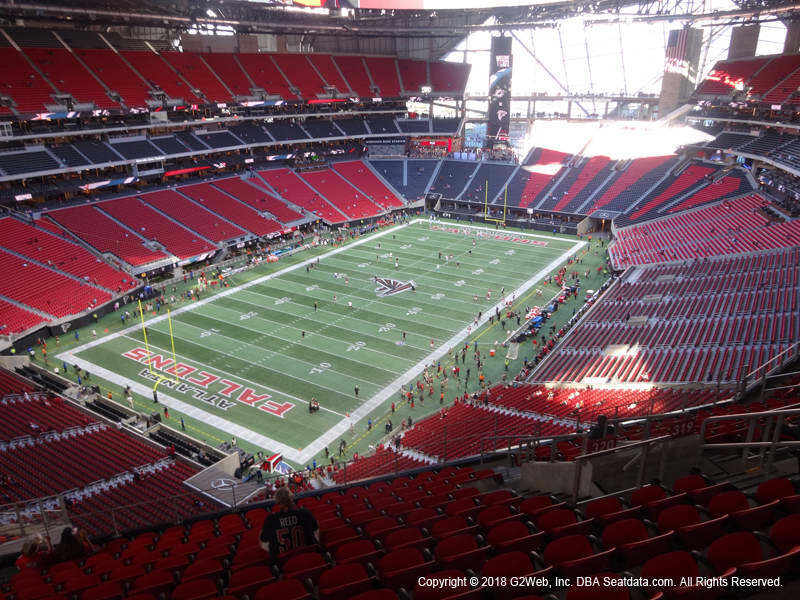 Two consecutive losing seasons in 2010 and 2011 followed by a pair of NFC West divisional titles and a Super Bowl Championship last season has given Seattle a 227.32% increase in average price since 2010. Entering their inaugural season at Levi’s Stadium in Santa Clara, the 49ers control the second largest four-year percent change in season average price. Like the Seahawks, the 49ers had a rough patch at the start of the decade, but have been to three straight NFC Championship Games in the past three seasons. The secondary market average price at Sports Authority Field has soared since Peyton Manning left the Colts for the Broncos in 2012. In that two-year period, the Broncos have gone on to win two consecutive AFC West titles and made a Super Bowl appearance last season. In 2010, Carolina had the worst record in the league, which led them to drafting quarterback Cam Newton with the first overall pick in the 2011 NFL Draft. Carolina made the playoffs for the first time since 2008 last season and that has continued to increase optimism around Bank of America Stadium. Despite plenty of on-the-field woes in recent years, the Dallas Cowboys have the fifth highest percentage increase in season average on the secondary market since 2010. To read the rest of the article & see the rest of the rankings, head over to Time.com.